She gets a lot of orders of long sleeved wedding gowns that are going to be used for that time of the year. So I think a long sleeved bridal gown is a great choice to be included in my list. 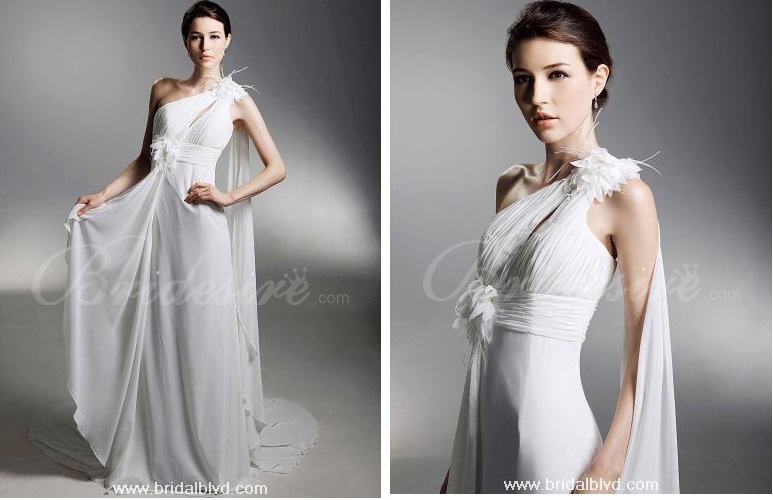 Meanwhile, if you can handle the cold, a Strapless Floor-length Chiffon Sleeve Wedding dress with a removable shrug can transform any woman into a stunning bride during winter weddings. I handpicked this champagne colored lace wedding dress because colored wedding dresses are in for 2017. The detailing at the back and light lace fabric make it lightweight and easy to walk around in at a destination wedding. Lace is a great option for wedding gowns as it is not very heavy and fits the wearer well. This is probably why Kate Middleton’s chose lace for her iconic Alexander McQueen wedding gown. Lacy textures and appliques lend themselves to all kinds of aesthetics, from ethereal and romantic to gothic and cutting-edge. 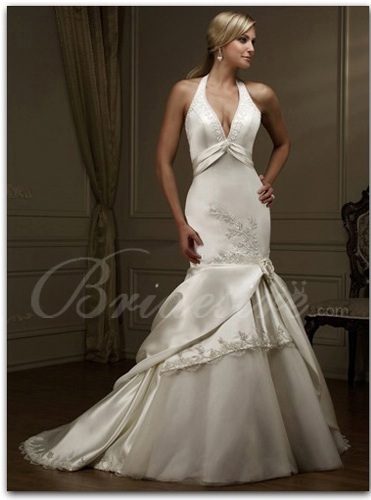 For simple wedding ceremonies, I am more inclined to suggest simple but elegant wedding gowns. 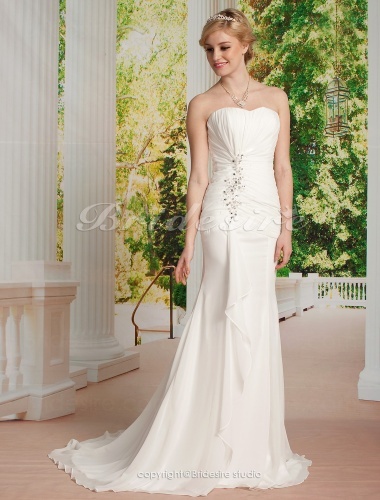 I chose this strapless wedding dress because of its simplicity combined with the sophisticated appeal of the rhinestone detailing on the bodice. 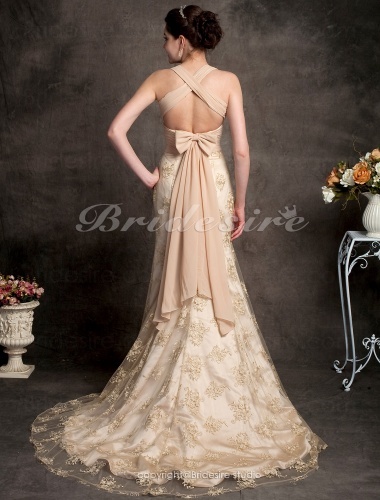 This dress is elegant without looking over the top. Empire wedding dresses and ball gown wedding dresses are still in for this year, but I chose something that’s easy on the eye (for the viewers) and for the body (for the wearer). These 2 dresses are perfect for any grand wedding. The one shouldered detail of the first one makes it stand out from conventional wedding dresses and the trail detailing on the shoulder exudes a regal appeal that makes the bride look grand and elegant. The second one looks classy and sophisticated due to its extensive use of satin which lends a royal appearance to any garment. It also features subtle embroidery which adds to the beauty of the dress. How beautiful! That second dress is stunning. These wedding gowns are beautiful! I loved all of them, but my two favorite ones were the champagne one, sooooo feminine! Loved it! And the one that has a bit like a cape, but not completely... really a gorgeous style!